Kindergarten teacher Tasha Jackson-Jones adds, “For children, it is crucial that they see adults celebrating difference. Children will naturally gravitate toward commonality. We want them to develop confidence in and appreciation for unique experiences and perspectives, and in order to do that we need to normalize ‘difference.’” Books can provide both a reflection of who we are and windows into the lives of others. 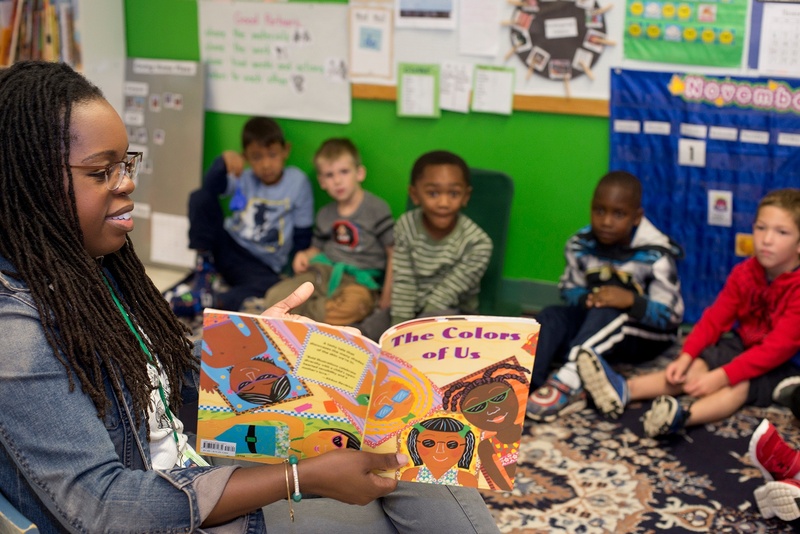 Parents, too, can use books to jump-start conversations with young children about “all of the parts that make us who we are” (identity), “what is fair and unfair” (social justice), and “how we can change things we believe are unjust” (activism). How do you think that character felt when . . .? What would you have done differently if you were in that situation? What do you notice about this (character)/(action)/(situation)?